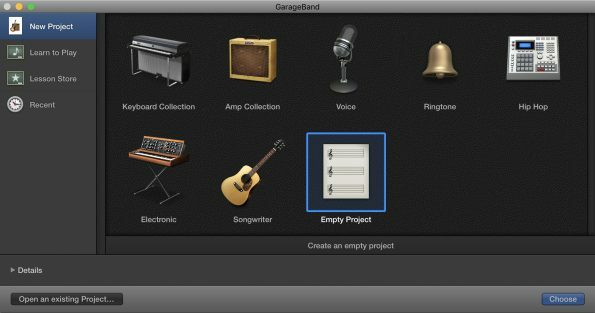 If you have an Apple computer you have access to GarageBand a powerful yet easy-to-use music production tool. 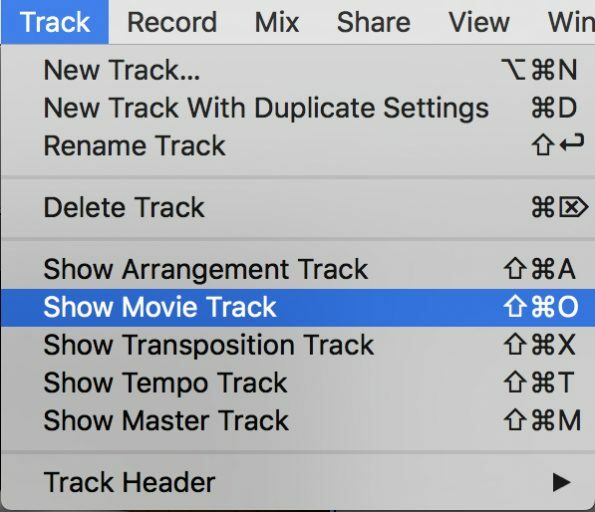 To add sound effects and create a musical score for a film, use the Launcher to find GarageBand, then open it. 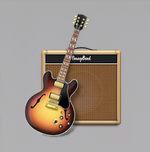 This tutorial is for version 10.1.6, which uses a guitar and amplifier as an icon. At the “New Project” screen select “Empty Project” then click the [Choose] button. 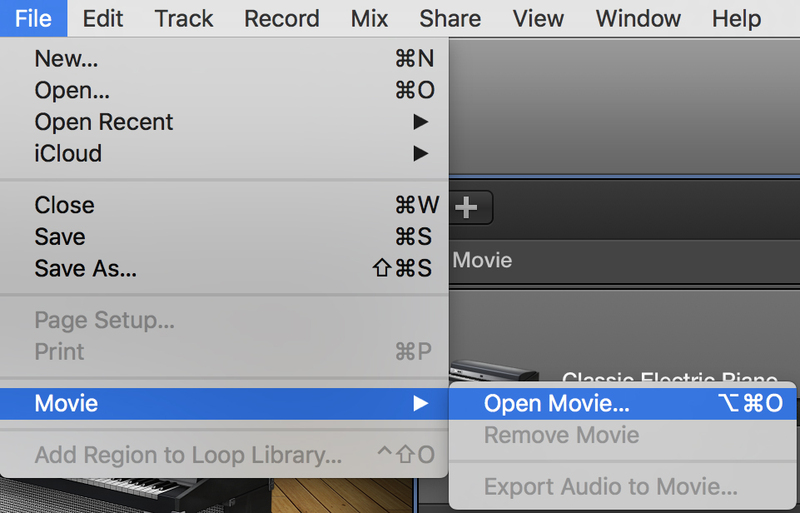 Select “Software Instrument” then click the [Create] button. Navigate to your Google Drive’s project folder and select the movie file for which you will be creating music and sound effects.